As a designer, owning your own business can be tough. You need every possible edge to get your foot in the door with new clients. You are relying on yourself and your own efforts for your income, so every little move that you make counts. One thing that many designers have trouble with is self promotion. Some designers forget that when they venture out on their own, that the business isn’t going to come to them automatically. Most of the time, you will have to be aggressive and go after business yourself. One simple tool that can help you get business is your business card. 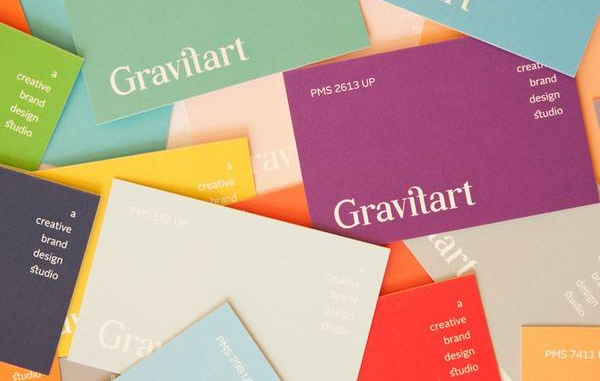 Surprisingly, many designers neglect having a well-designed business card. Mediocrity doesn’t help here, so it is important to make your business card jump out from all of the other businesses. 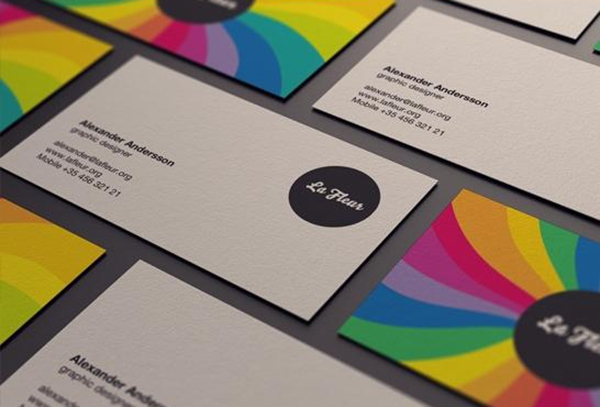 Below are some tips and designs that you can use in order to make your business cards stand out. Many designers are afraid to use bold colors that stand out. If you have a signature color, you might choose some vibrant accents. You can actually do a lot with just color. If your logo is plain black or white, or even a shade of gray, you can use any color combination with it. You can use multiple colors, or you can see in the example, that you could use a different color for each card. 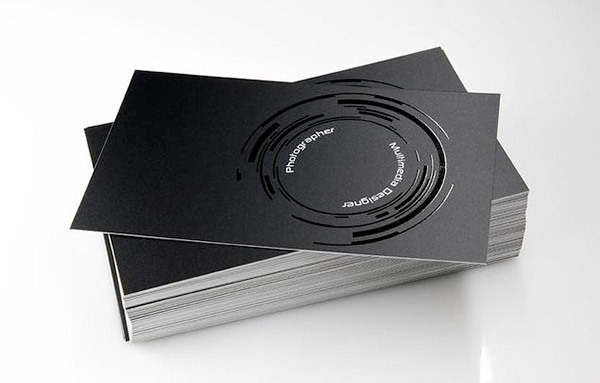 Gloss has become very popular as a business card finish. This is a nice touch for any business card, because it adds a smooth finish and a different texture to the business card that it is applied to. It slightly raises the surface and adds a tactile feel that will make anyone that receives it run their thumb across it. The shine really makes the color jump out. The surface is slightly raised and you can feel the smoothness of the gloss on the card. 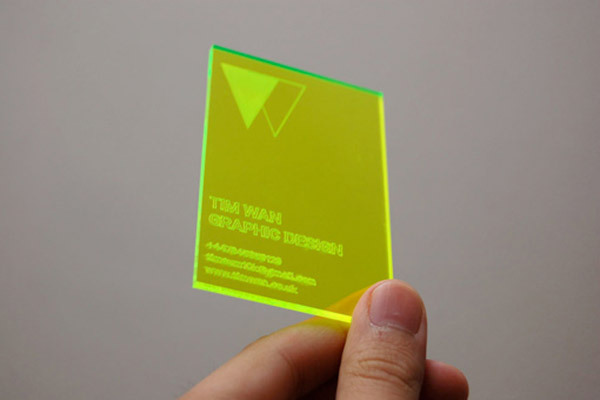 This element of dimension is a great way to make your business cards stand out. 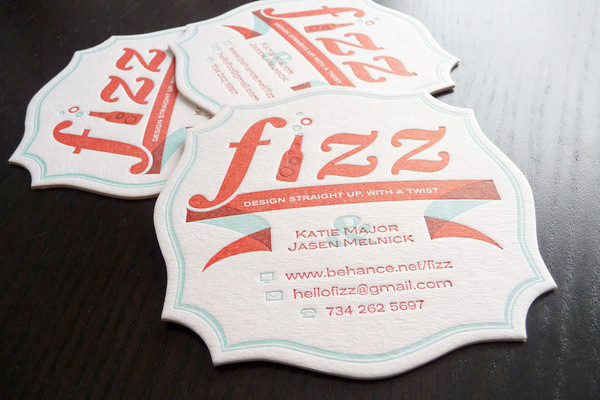 Embossing is another great way to get attention with your business cards. 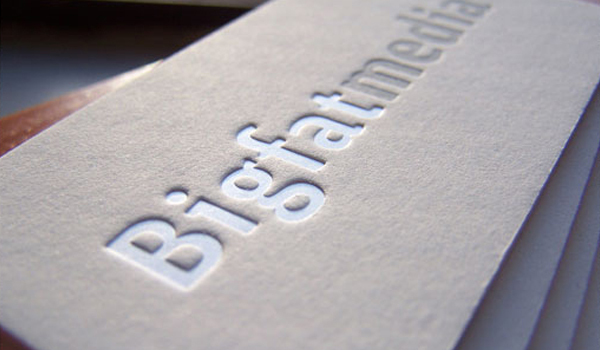 You can’t help but to notice a card or any other printed material with embossed lettering. 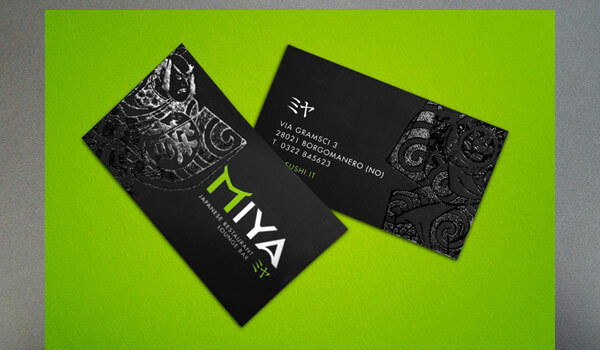 It is a great way to add a classy and sophisticated look to your business cards. 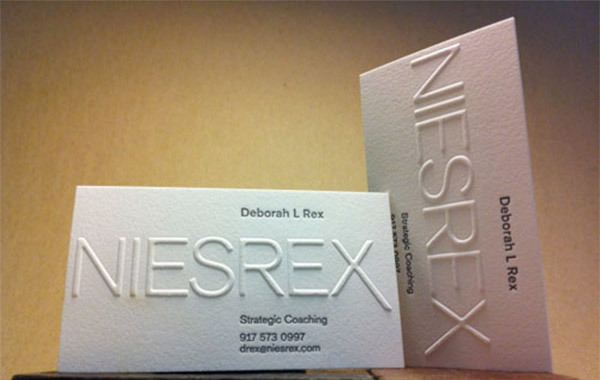 Above is a great example of an embossed business card. The design is minimal in nature, but that is why the embossed logo works so well. The type is huge, and the letters are raised high. Imagine being handed this card and running your thumb across the card. This is a great way to draw extra attention to your card and your business. 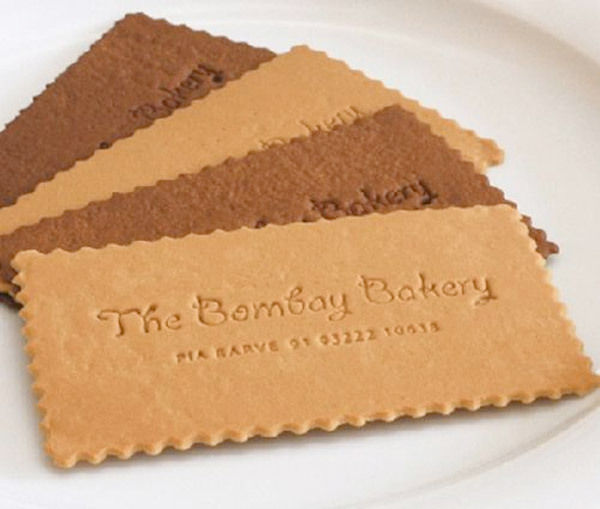 The paper quality can have a huge impact on how a business card looks and how it is perceived. You could use really thick, heavy card stock with a high gloss finish. 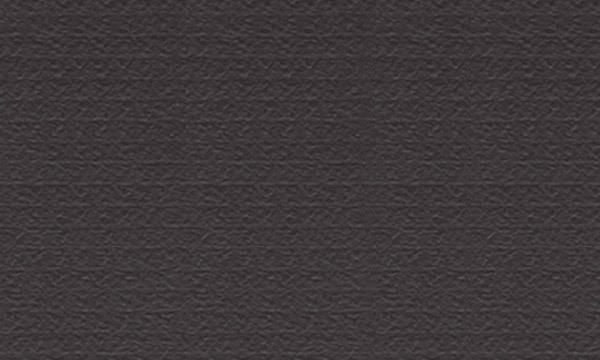 A different approach would be to select a rich colored paper, or paper with a linen texture. There are so many different types of paper out there. The example below shows just how tactile paper can be. If you do some research, you can find thick, textured card stock that will make your business card elegant while giving it a weighted feel. 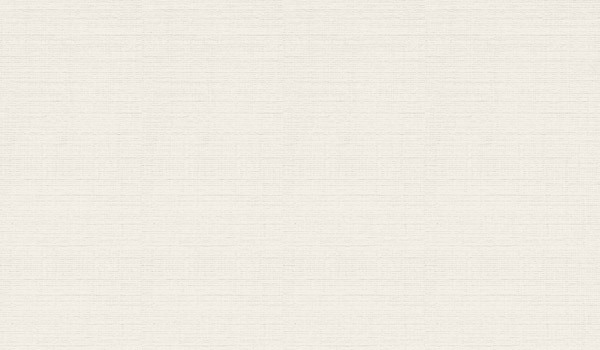 Below is a nice linen texture. Some use this type of paper for resume paper, and others use this when they want their print work to gain instant attention. The cross weave pattern adds a design element to the paper itself. 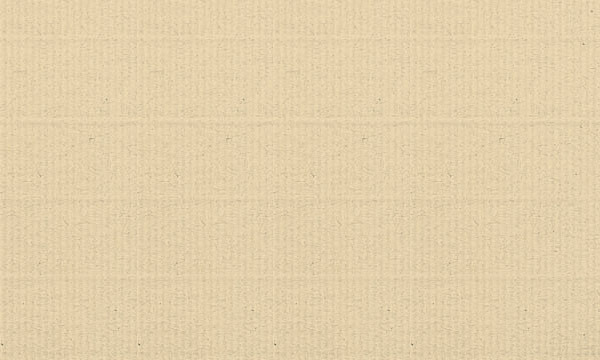 The image below shows an example of laid paper, which is almost corrugated in construction and feel. Notice the raised lines in the example. This is native to laid paper and will vary depending on the manufacturer. You don’t have to stick to just paper. 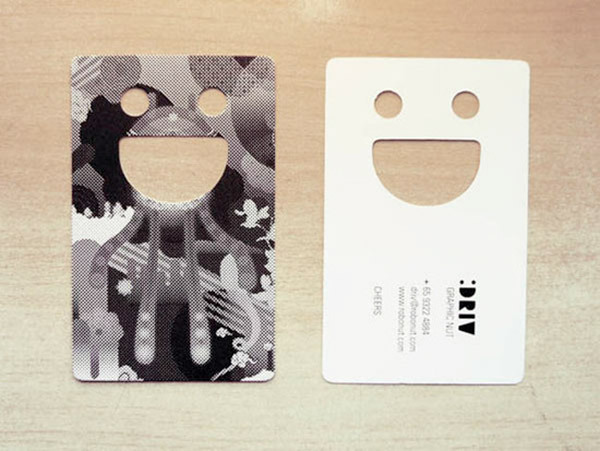 Unique materials are where your business cards can really stand out. This is a chance to get very creative, because the only limits are your imagination. You can use anything for materials that you can print on. Keep in mind that this option may be pricey, but if you have a little extra in your budget, this is a good place to spend it. A good example would be if you sold flooring and your business card was made of thing wood or veneer. An eyeglass maker could use a clear plastic card with their logo and contact information screen printed on it. You could use cardboard or recycled paper for an environmentally conscientious company. Above: These clear business cards are excellent attention grabbers. The plastic card is hard to ignore, especially among paper ones. 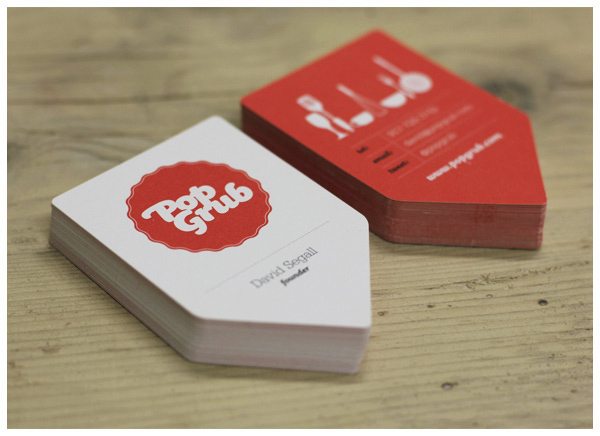 Below: Food as a business card is a unique idea that will help get your foot in the door. The only problem with this is that after they eat the product, your information disappears with it. It would be a good idea to leave a backup business card to supplement this idea. The example below is also another plastic card, most likely acrylic. This is a tough business card that would be impossible to ignore. 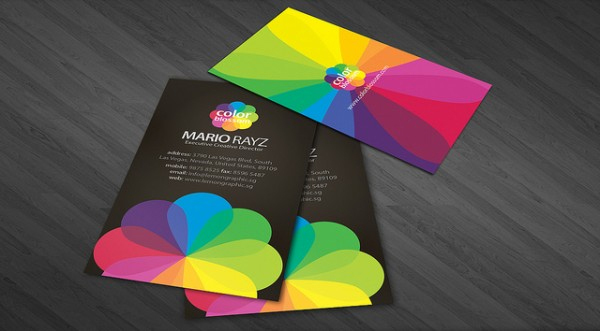 The bright color, combine with its thick, rigid structure, makes this an excellent calling card. 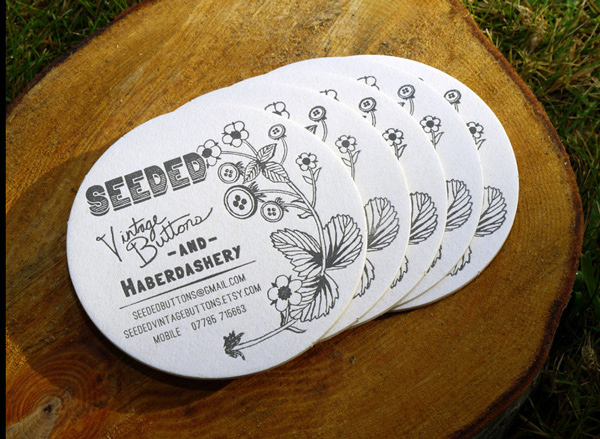 Business cards no longer have to be a 3-1/2″ x 2″ rectangle. You can do so much with just choosing a different shape. 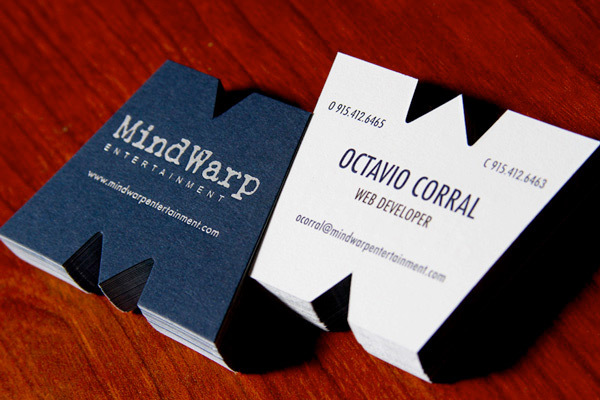 Some people use rounded corners on their business cards. I have even seen circular business cards. You can do just about anything that you want, just make sure that it looks good, and that it makes sense for your business. One thing to keep in mind is that if you choose an odd shape, or something much larger or smaller than a traditional business card, is that it won’t fit into business card holders or organizers. Some people may discard your card altogether. Above: The circular cards work well for the vintage button shop. Another interesting take might have been to make one side of the card look like a vintage button. The badge shape from the second example uses an ornate shape with a simple border to gain attention. Below: The vintage type, combined with the unique shape really makes this card stand out. The great part is that it will still fit well with a stack of business cards, and it will still fit into a business card holder. Making the cards into the shape of the letters of your company is a great way to give your business name staying power with potential clients. You can always implement diecuts into you design. For example, if your logo is a very simple icon or shape, you can arrange to have it cut out of your card. You could do a lot with die cuts, but one thing to be sure of when using them is not to have them placed too close too the edge of your card, and not to remove too much material overall from the card. This will make your card too easy to bend and might make it too flimsy. The card shown below does a good job of leaving enough material. This is a huge one. If you can find some way to conceptually tie your business in with a concept of your unique business card, you will permanently stick out in the mind of business owners. 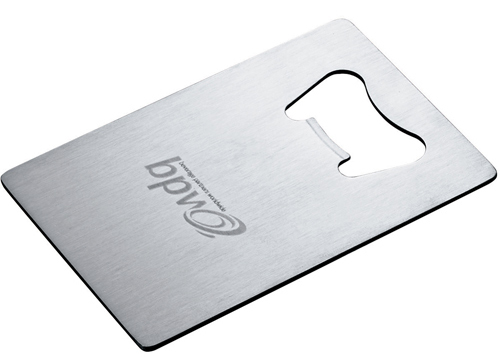 The example below of the bottle opener built into a business card would be a great marketing tool for a brewery or a bottling company. 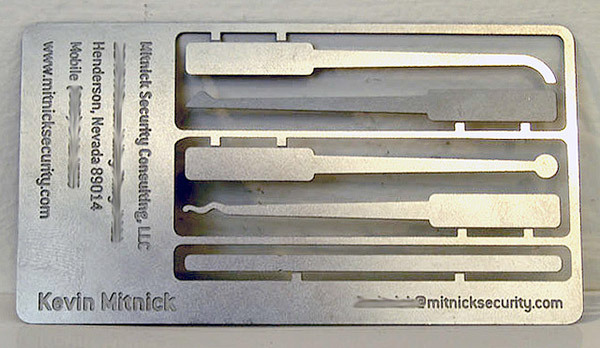 The business card with lock picking tools built right in was an excellent way to promote this security company. It really ingrains the idea of (in)security in your mind and reminds you that thieves are out there and you need to protect your belongings. 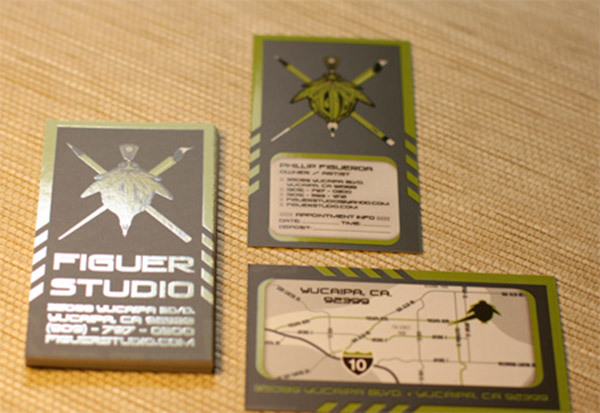 Your business card is an invaluable marketing tool that you should put some real thought into. Creating a unique design that shows off your skills is a great way to market your design services. It may cost a little extra money to do the things shown above, but the return on your investment is well worth the effort. it can be tough to get noticed in today’s business world, but your business card can be an excellent way to set yourself apart from other designers. 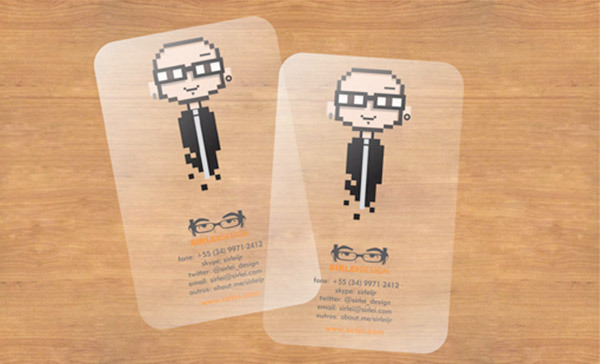 Have you designed a unique business card? Did it help you get more business and new clients? Tell us about your experiences in the comments section below.